I wish the Niner game was later in the season. That would be a nice-looking matchup with the Chargers in white navy/navy and SF in white/gold, but as usual, the league chooses to let us down. Are they sure it's not the road game at Washington? I thought it Dallas wears blue at home on Thanksgiving. At home against Tennessee? What changed? Did the Redskins get someone new to make the decisions on their uniforms? I hope the Titans don't wear the columbia blue pants this time. Because that game between the teams back in 2016 was awful. I knew the Chargers would wear powder blue against the Raiders because that week will still be hot. I also thought they would wear the royal blue against the Cardinals based on where they wore the color rush last year. The Bills must be wearing their white throwbacks if the Chargers are wearing navy at Buffalo. Sweet. Navy over white is diminishing. I like that combo. In a way, I was expecting the Chargers to wear powder blue vs the Rams in the Coliseum week 3. They did wear powder blue in Dallas last year. Yup, this is the only time I think the Chargers have ever worn powder blue against an NFC opponent aside from Thanksgiving last year. 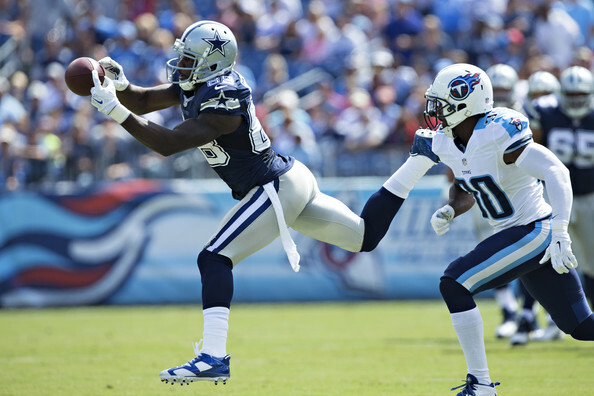 I was hoping to see the Titans in navy blue with the Cowboys in white. But instead we're probably gonna get some ugly mess like this again. The only thing that would make this tolerable would be the Titans in light blue bottoms. Gridiron has the Jets in color rush week 7 vs Minnesota. I haven't seen anything to confirm that. I'm going to take a guess and say the Cowboys are going to wear Color Rush on Thanksgiving. I personally think the double star jersey should always be worn on Thanksgiving. Looking forward to seeing the Titans all white uniforms. They are crisp! It was on the announcement with the Jets having new uniforms in 2019. 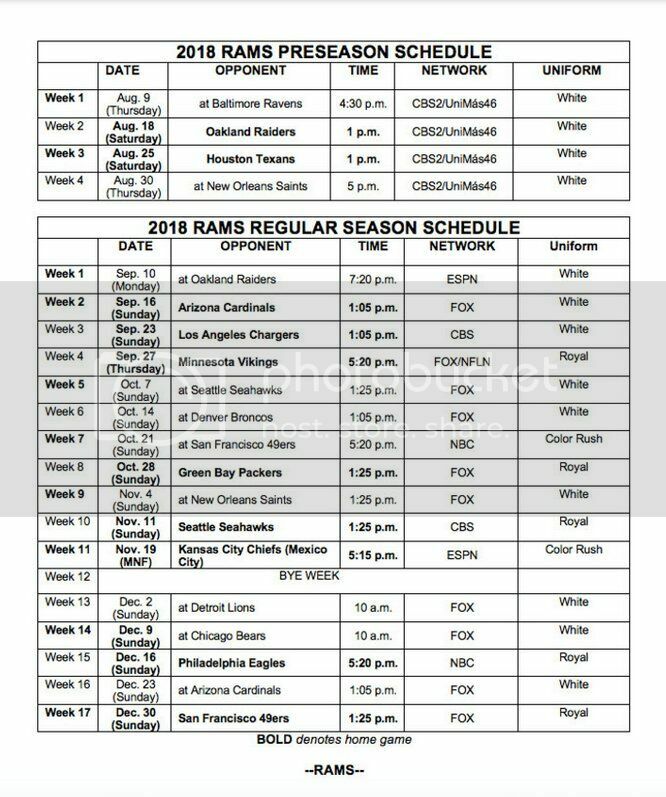 Regarding the Rams vs. Ravens, I saw a schedule that said the Rams are wearing white. The wrong picture was posted. Chances are, we will only see them wear either navy or light blue pants with them--just like last year. I just realized the Raiders are going to be wearing their home uniforms in the Coliseum against the Rams. That doesn't seem like a smart idea by the Rams to wear white. It's like double home field advantage as it is, can't have the illusion that the Rams aren't playing in their own building. The throwback games are the same as last year. Miami always wears them against Buffalo. Will we get to see them a third time? I hope we get to see them for one of the preseason games or the week two game at New York. "This teams comes to town once every 8 years, so let's wear white"
"Our uniforms would clash well with this team, so let's wear our hideous color rush unis instead"
"We've worn our throwbacks against this team the past 3 seasons, so let's do it again!!" "Our fans love this uniform, so let's make them wait til December to see them"
The Jags are wearing teal jerseys with white pants tomorrow night. 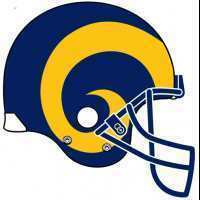 The logos are centered and the facemasks are blue. Go on, Saints. Go and wear those gold pants of yours. Dazzle these eyes. And you, Jaguars. Yes, you. Do what’s right. You know what I am talking about. Do it for your people. I'm starting to realize for teams that wear white at home for the first couple games, their alternate jersey is basically the equivalent of their home jersey if they choose to wear it 3 times. The Jaguars for instance could end up wearing teal as many as or more times than they wear black, but I guess this doesn't include if they wear color as the visiting team.